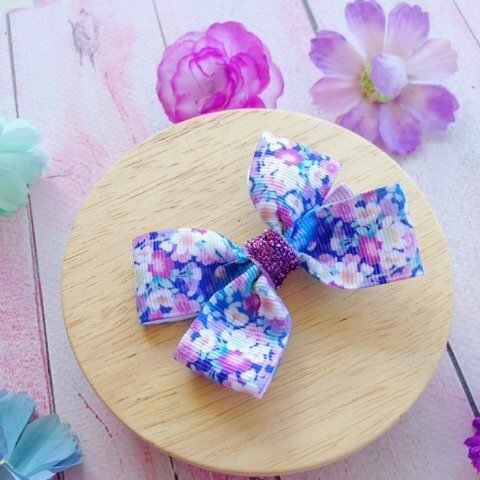 Add a touch of style to your little girls hairstyle with our cute double loop grosgrain ribbon bows, this gorgeous bright blue & purple floral is perfect for those spring or summer outfits. Made from high quality grosgrain ribbon and finished off with a sparkly ribbon centre. These also make for great birthday gifts or Christmas stocking fillers. 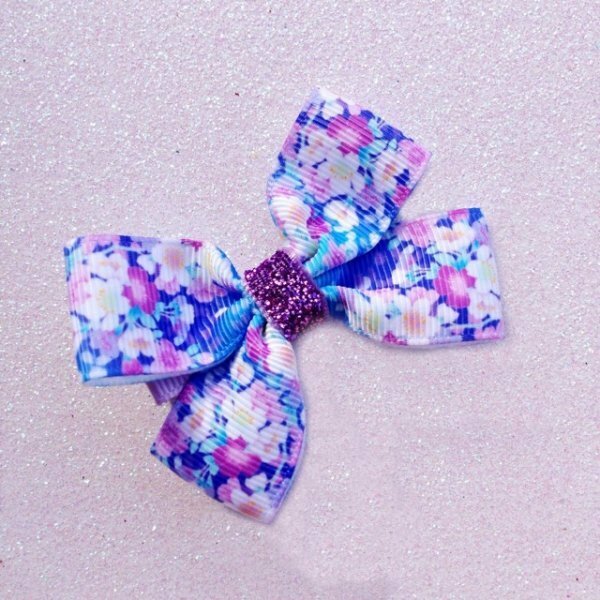 Can be made on a clip or headband, please specify above. *Please always supervise young children while wearing any hair accessories, do not allow them to sleep in clips or headbands.